In the Inbox, from David Lewis, is a copy of a letter sent Tuesday by one of my favorite environmental organizations—Save the Bay—to San Francisco Mayor Gavin Newsom. The letter lays out a willingness, or better yet it says “We are enthusiastic” about building a partnership between environmental groups and the city of San Francisco, all to the end of creating an environment in which BMW Oracle Racing can commit with confidence to declaring San Francisco Bay the venue for a match in 2014. In formal terms, of course, Golden Gate Yacht Club holds the America’s Cup, but I don’t think that Commodore Marcus Young needs any convincing at all. David Lewis is the Executive Director of Save The Bay, and the letter bears his signature. Maybe, just maybe, this way forward will work. The Mayor’s office now says that it is abandoning an earlier plan to fast-track an infrastructure buildout by securing an exemption from the California Environmental Quality Act. That will keep Gavin Newsom’s pro-environmental credentials intact as he campaigns to trade his Mayor’s seat for the Lieutenant Governor’s seat, come November. The plan (hope, whatever) is to enlist all the major players in the environmental arena. Several more already are aboard. The concern (mine) is how to rule out every possibility of intervention from what, offshore, we would call a rogue wave. 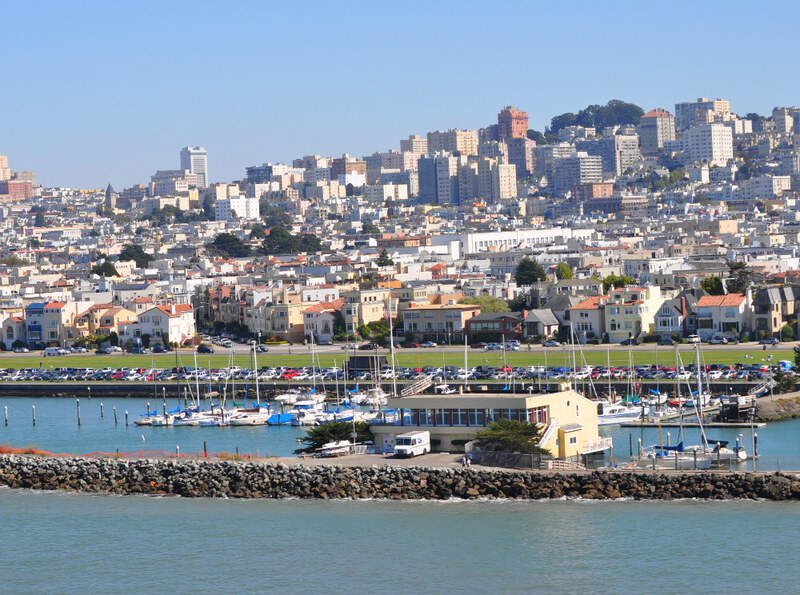 The Golden Gate Yacht Club , on the shoreline bordering the race course of an America’s Cup in San Francisco Bay. From the mayor’s office also comes word that the resolution supported in the California state legislature by reps Yee/Leno/Ammiano/Ma passed out of the Senate Monday evening on a 33-0 vote. The Assembly will vote before the week is out. And the bill that they are supporting was drafted by Ed Worley, who sent us a comment on yesterday’s post regarding State Senate Resolution SCR124. The subtext? Ed Worley crewed for Rod Davis on Newport Harbor Yacht Club’s Eagle Challenge for America’s Cup in Australia in 1987. As you know, Save The Bay is the oldest and largest organization working to protect and restore San Francisco Bay for people and wildlife. 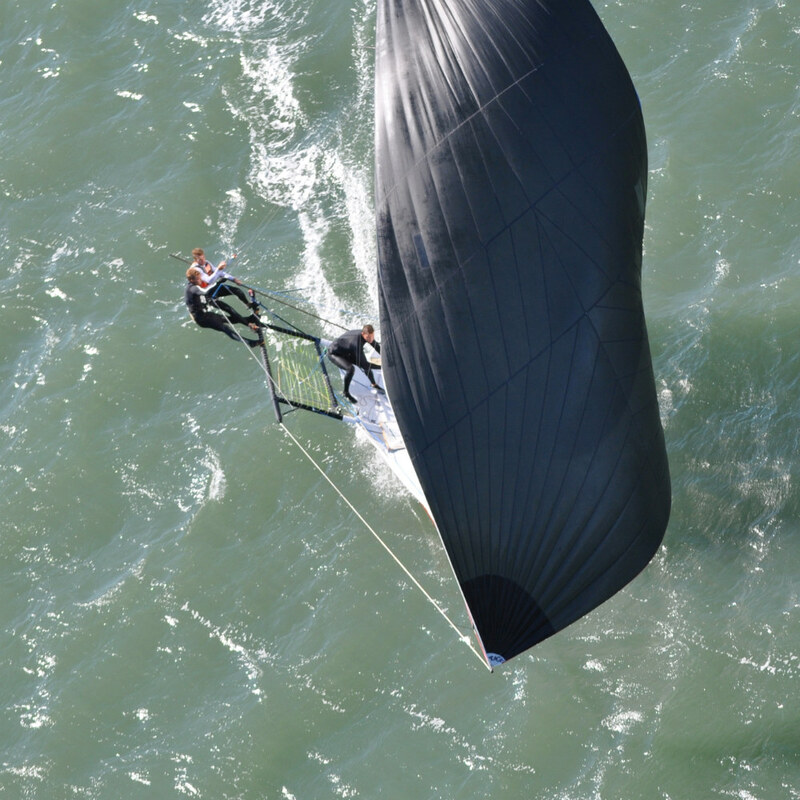 We are enthusiastic about the prospect that San Francisco may be selected to host the 34th America’s Cup. 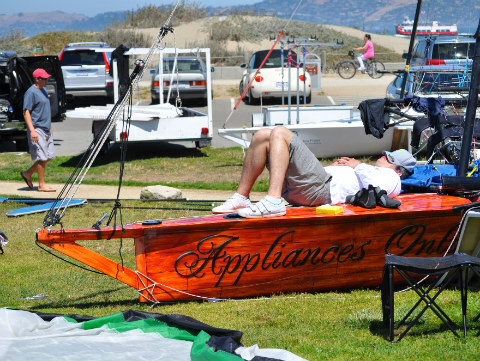 The world’s premier sailing race represents a special opportunity to showcase San Francisco Bay to the world, and create lasting benefits for public access to the Bay and its shoreline. We believe that the best prospects for San Francisco to be selected as the host city for the America’s Cup, and to complete the physical improvements needed to support the Cup, lie in continuing the collaborative process that you and your staff have initiated with us and others this month, not in a legislated statutory exemption to the California Environmental Quality Act. Francisco, and to working with the agencies that have jurisdiction over the Bay and waterfront areas where facilities and improvements may be needed. Working together, we are optimistic that all parties can promptly process project plans for the Cup. Thank you very much for your leadership. 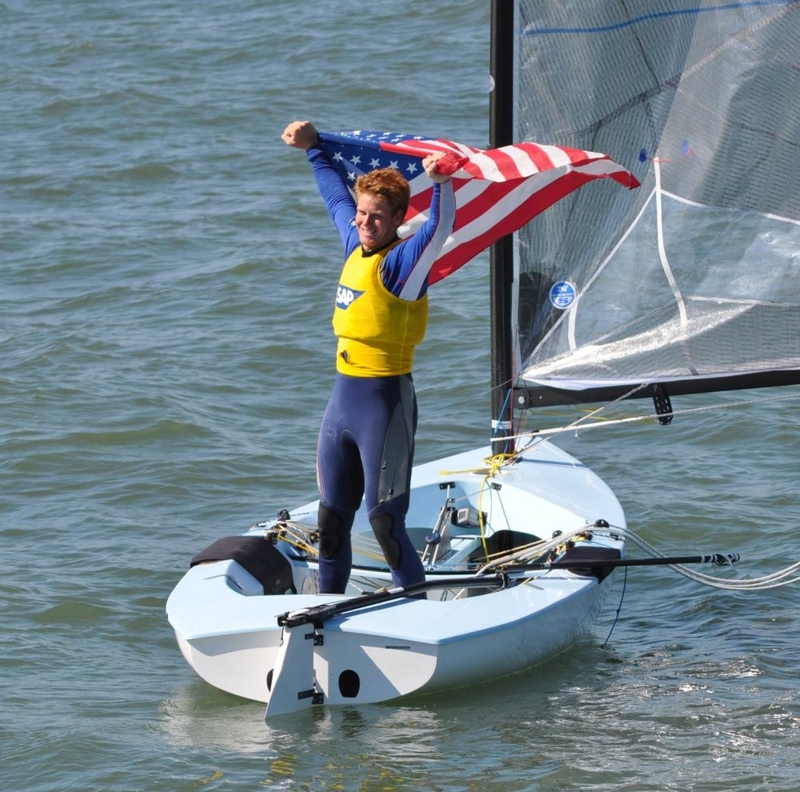 On his 20th birthday, Miami sailor Luke Lawrence won the 2010 Finn Junior World title. What better present! The day started under a high pressure system with uncharacteristic sun and wind from the land and an AP flag flying to postpone racing until the westerly seabreeze filled. With the breeze coming on, warm and gentle by community standards, racing started at 1500 after one general recall. What followed was a nerve raclking race with light winds and lead changes throughout. Caleb Paine was first to the top mark, while Luke Lawrence rounded in 11th place. The run against the current provided the biggest opportunities to gain or lose. While the top five sailed the run down the middle of the course, Oliver Tweddell (AUS), Egor Terpigorev (RUS) and Luke Lawrence (USA) went close to the shore for current relief in the shallows. It worked. Egor Terpigorev (RUS) won the last race, which counted for double points, with Oliver Tweddell (AUS) second and Luke Lawrence third, good enough to take the title, three points ahead of European Junior champion Ioannis Mitakis (GRE) and Oliver Twedelle (AUS). It’s nothing like America’s Cup racing. But it’s the hottest thing on the bay, right now. Literally. And even so, every day, the breeze comes eventually. Aussie Herman Winning is leading the skiffs going into today. 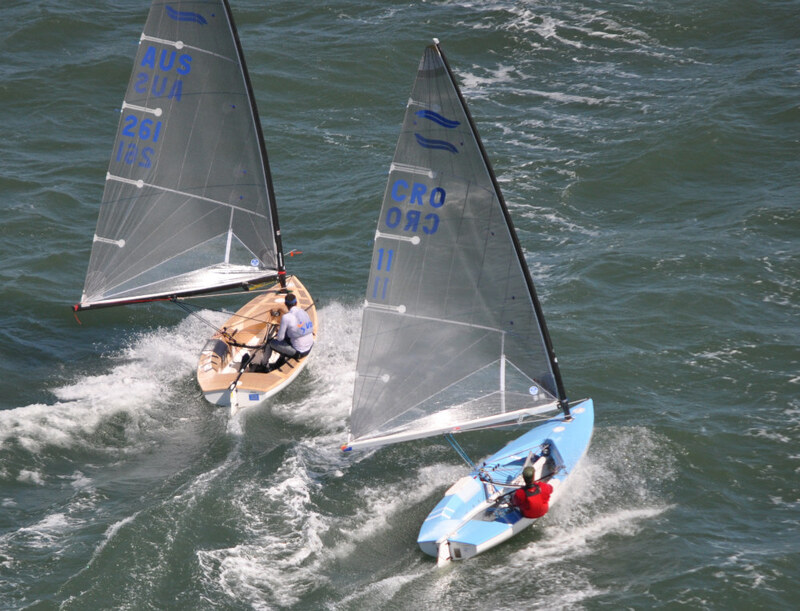 The series wraps up tomorrow, but today the highlight is the Ronstan Bridge to Bridge, 7+ miles from the Golden Gate to the Bay Bridge, with skiffs, kiteboards, and windsurfers all mixed together. The race is a favorite local wacko tradition. First gun is at 1730 at the Nun buoy west of the South Tower of the Golden Gate Bridge.